Signal extrapolation is the process of extending a signal from regions where it is known into regions where no knowledge of the original signal exists. 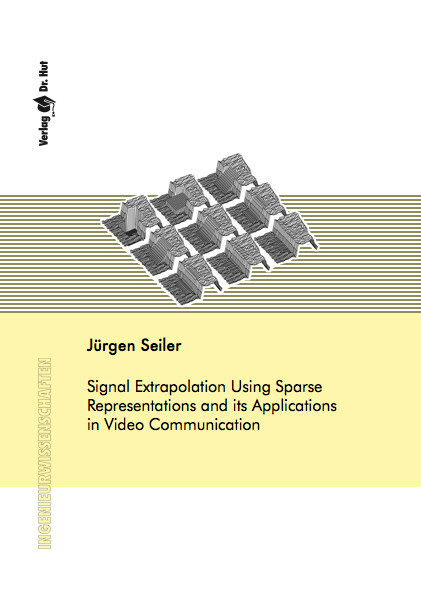 This topic is especially important in the field of image and video communication in case that the available signal is not known completely but only in subareas. This may happen for example if the desired signal becomes distorted. For estimating the original signal, as much information as possible has to be extracted from the known samples in order to obtain a reasonable extrapolation. In the scope of this dissertation, several extrapolation algorithms are introduced and it is shown that a high extrapolation quality is possible, even in the case that only little of the original information is available.